It's #GivingTuesday tomorrow. Let's come together as a community to make sure our teachers and scholars have all the resources they need to finish out the year strong. 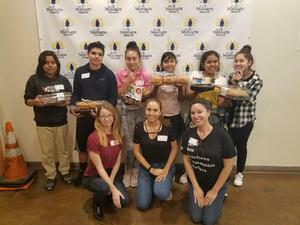 Ms. Brambila, Ms. Torres, Ms. Hargrove and Mr. Hernandez took Resolute scholars to volunteer at The Midnight Mission on October 19th. At Resolute, we believe it's important to teach our scholars how to give back to their community. The Midnight Mission was the perfect place for us to get our start. According to their website, "The Midnight Mission offers paths to self-sufficiency to men, women and children who have lost direction. Our emergency services and 12-step recovery, family living, job training, education and workforce development programs offer a compassionate bridge to achieve and maintain healthy, productive lives. We remove obstacles and provide the accountability and structure that people who are experiencing homelessness need to be productive in their communities. Our conviction and commitment to their success define us." We are so proud of Daniel T. for being accepted into the rigorous and highly selective Independent School Alliance for Minority Affairs. As a candidate, Daniel will work with a team of specialized counselors who will guide him through the application process at independent, private high schools. We are looking forward to Daniel finding the perfect fit for his high school experience! 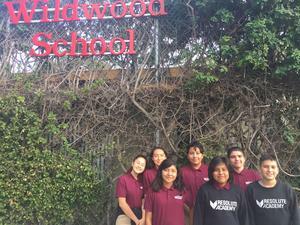 A few of our other students are candidates for the program, so please send them good vibes and wish them luck! 2nd Annual High School Fair!